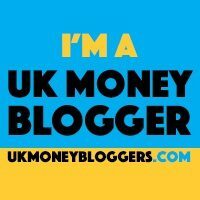 I’m always looking at ways of adding value to my readers, if you write about finance, careers or lifestyle and believe that you have an idea for a guest post, please feel free to contact me. Complete my contact form, including your topic(s) you want to write about and details of any other guest posts that you have written. Please also give me details about what your expectations are in return for publishing your post on Money for Monday. Guest posting is for bloggers only. Use of proper headings and subheadings and bullet points. Links are appropriate to the content. Guest post links will be dofollow. Please note that if a guest post is written for the purpose of advertising a business it might not be included or could be included with external links changed. You might want to consider a sponsored post if it is your intention to promote a business or its activities.